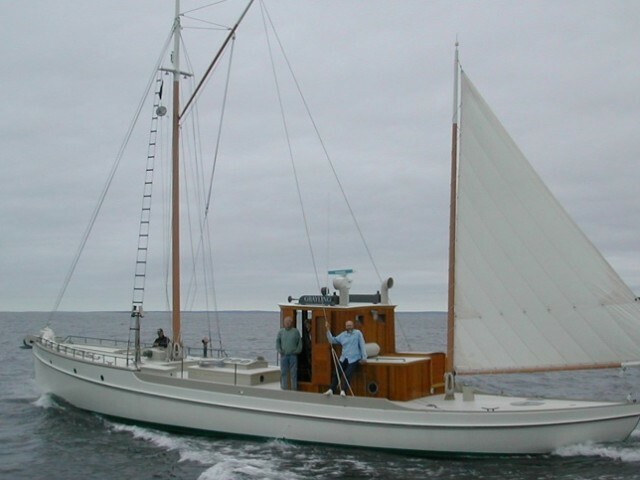 GRAYLING was built by Frank Rice of East Boothbay, Maine, for use by his brother George Rice in seining for herring and mackerel. In 1920 she was sold into the sardine industry where she spent the next seven decades as a cannery owned carrier out of Eastport, Maine. 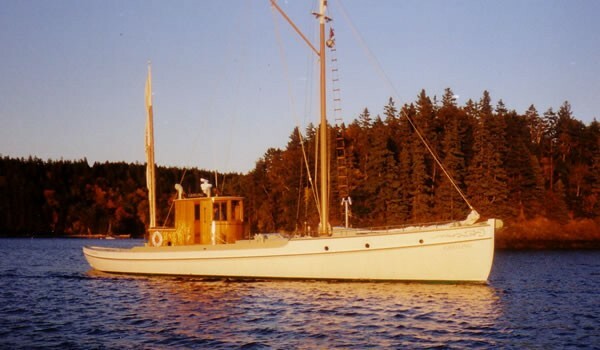 Plans were produced for GRAYLING as an historical documentation of her construction prior to her restoration and conversion to yacht use in 1996. Further drawings were made of her accommodations as converted. 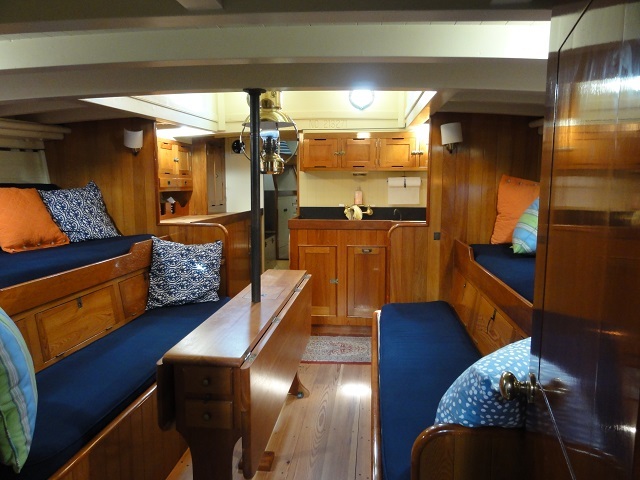 Many sheets were produced, including lines plan, original construction and layout, yacht accommodations, pilothouse, and sail plans. 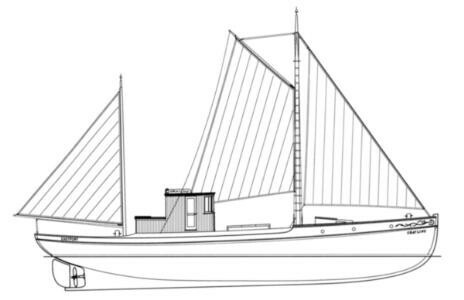 These plans will be of interest to model builders and those involved in researching or rebuilding similar craft. Please contact Doug Hylan regarding what plans are available and their cost. CONSTRUCTION – Single carvel planking over steamed frames. SPEED – Up to 11 kt. 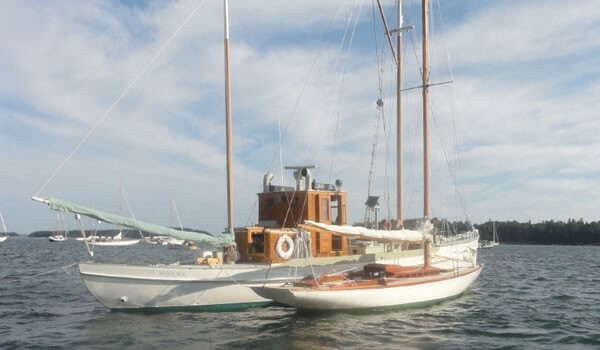 OTHER REFERENCES – WoodenBoat 136 (page 99), 141 (page 80), 142 (page 78). TO ORDER PLANS: For information about plans availability, please contact us at Hylan & Brown – Boatbuilders, 53 Benjamin River Dr. Brooklin, ME 04616 or doug@dhylanboats.com.